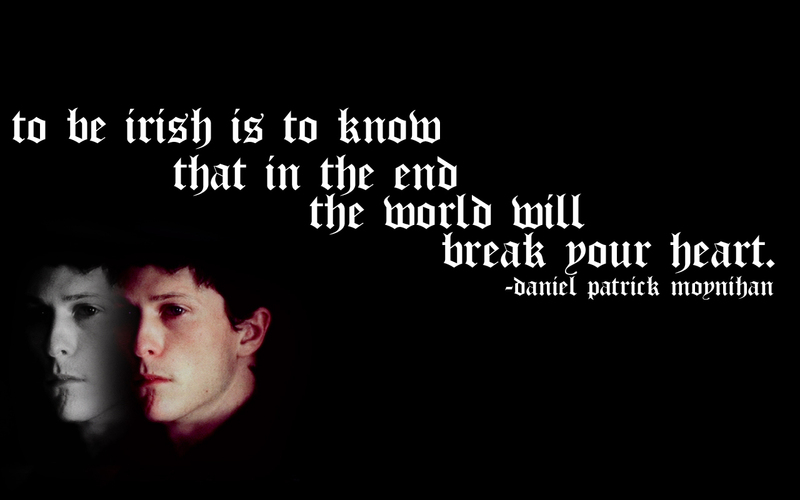 'The World Will Break Your Heart'. Wallpaper of Tommy with a quote from Daniel Patrick Moynihan.. HD Wallpaper and background images in the The Black Donnellys club tagged: the black donnellys wallpaper widescreen tommy jonathan tucker quote daniel patrick moynihan the world will break your heart. This The Black Donnellys wallpaper might contain sign, poster, text, and chalkboard.